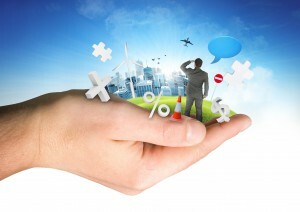 Home prices keep rising – where’s the bubble? 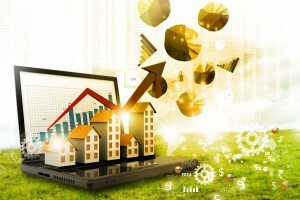 House prices in most capital cities have continued to rise into winter although the rate of growth has generally moderated as the recent driving force of last year’s interest rate cuts eases. The national median house price increased by 1.7 percent over the June quarter to a new record high $818,416 to be 10.1 percent higher compared to the same period last year. Although quarterly growth rates have eased, the latest annual increase in house prices was just below the 10.7 per cent recorded over the previous March quarter. The national median unit price also increased moderately over the June quarter, rising 1.7 per cent to $573,064. The June result was higher than the 1.2 per cent recorded over the previous quarter and the fifth consecutive quarter of rising prices for national units. The national median unit price increased by 6.4 per cent over the year ending the June quarter which was the highest yearly result since the September quarter 2015. Although Sydney house prices continue to rise, the rate of growth has declined sharply this year to be now significantly below the boom-time rates recorded through the latter half of 2016. Sydney’s median house price increased by 1.6 per cent over the June quarter to a new record high of $1,178,417 and remains clearly the most expensive of all the capital city markets, The Sydney median house price increased by $132,349 over the year – up 12.7 per cent. Sydney unit prices also continue to rise and now at a faster rate than local houses despite recent record levels of new apartment construction. The median increased solidly by 3.2 per cent over the June quarter to $757,991. This was the sixth consecutive quarterly increase in unit prices with the growth rate the highest in two years – since the June quarter 2015. Melbourne house prices recorded another exceptional increase over the June quarter, rising by 3.5 per cent to a new peak of $865,712. Melbourne has now recorded a remarkable 19 consecutive quarters of house price growth – a series record for the capitals and showing no sign of slowing down. Melbourne house prices have surged by 15.1 per cent over the year ending June for its best annual result since the September quarter 2015. Melbourne unit prices recorded a solid rise over the June quarter increasing by 2.1 per cent to $474,848 with annual unit prices up by 4.6 per cent. 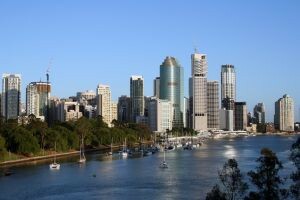 The Brisbane housing market has recorded a subdued first half of the year with the median house price falling marginally by 0.1 percent over the June quarter to $546,043. Brisbane house prices are now down by 0.2 per cent this year so far in what has been a typically slow start to the year for the local market. Despite flat prices this year, annual prices are up by 3.1 per cent compared to the June quarter last year. Although Brisbane house price growth has been relatively steady recently, unit prices continue to fall reflecting record new apartment supply impacting the market. The June median unit price fell sharply by 5.5 percent compared to the previous quarter to $375,269 – the steepest fall in unit prices since the December quarter 2000. Annual unit prices are now down by 4.9 per cent with the median price the lowest recorded since the December quarter 2013. Adelaide house prices continue to rise steadily with the June quarter median up by 0.9 per cent to $524,968 and still clearly the most affordable capital city market on the mainland. Adelaide house prices have now increased over 11 consecutive quarters with annual prices rising solidly by 6.6 percent – the city’s highest annual rate since the June quarter 2010 seven years ago. Adelaide unit prices also increased solidly over the June quarter up by 1.1 per cent to $377,823 for a steady result over the past year. Recent indications of a revival in the subdued Perth housing market have proved premature with the local market record anther sharp decline in house prices. The median house price fell by 1.8 per cent over the June quarter to a near five year low of $555,788. 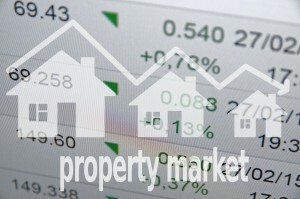 Perth annual house prices are now down by 3.8 percent. 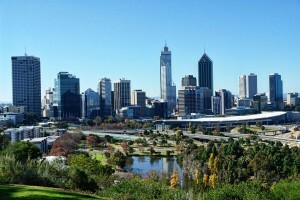 Although Perth house prices fell sharply over the June quarter, unit prices recorded solid growth rising by 1.1 per cent to $377,823 and were steady compared to the June quarter last year. The Canberra housing market produced a strong result over the June quarter with the median house price increasing by 3.9 per cent to $723,299. Canberra house prices have risen by $59,166 over the past year – an increase of 8.9 per cent. Although Canberra house prices are rising strongly, unit prices continue to fall reflecting recent high levels of new apartment supply. The June quarter median price fell by 2.9 percent to $403,128 – the sharpest quarterly decline in prices since the September quarter 2004. 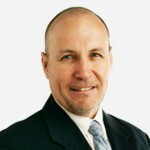 Canberra unit prices have now fallen by 3.7 percent over the past year and are the lowest since the December quarter 2009 – nearly 8 years ago. The Hobart housing market is booming recording its highest price growth rates since 2003 – and the strongest of all the state capitals. The Hobart median house price has exceeded $400,000 for the first time, rising by a steep 4.3 per cent to $404,522 over the June quarter. 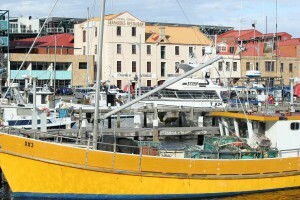 Hobart house prices increased by 15.2 percent over the past year and again the highest result of all the capitals – and the highest annual rate since the December quarter 2004. Hobart unit prices also increased sharply over the June quarter, up by 3.8 per cent to a new record median of $310,854 and an annual increase of 7.7%. The Darwin housing market continues to show positive signs of revival after a lengthy period of subdued buyer activity. The median house price increased by a strong 6.1 per cent over the June quarter to $666,686 with annual prices now up by 12.2 percent over the past year. Darwin unit prices however continue to weaken reflecting recent record levels of new apartment supply pushing supply well ahead of demand. The median unit price has now fallen by 23.5 per cent over the past year to a June quarter result of $351,880 – the lowest quarterly median since December 2008. The low and falling interest rate energy that has fuelled the recent general resurgence in house price growth is now dissipating although the relative impact on housing markets will be mixed and as usual determined by local demand and supply factors. 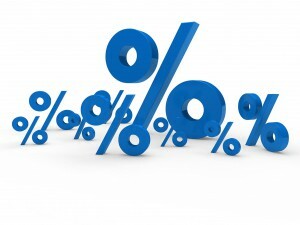 Although the current outlook for interest rate settings remains steady, the chances of a near-term cut cannot be discounted with continuing uncertainty and concerns over the performance and prospects of the national economy. Questionable actions by financial regulators and policymakers to moderate residential investor activity through higher interest rates and tighter lending conditions will likely reduce demand although investor appetite remains strong in a low yield economy. 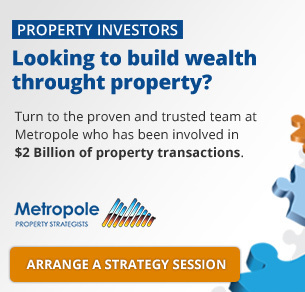 Fewer investors will be unwelcomed news for tenants in tight rental markets with already skyrocketing rents facilitating negative social and economic consequences. Recent changes to stamp duty and grants for first home buyers in NSW, Victoria and Queensland will act to bolster activity from this group in the short-term. New policies designed to restrict foreign investment in housing however can only act to place upward pressure on prices in already undersupplied markets. The Sydney market has been a runaway leader in capital city house prices growth in recent years and with affordability barriers increasing, prices growth will continue to moderate without further stimulus from interest rate cuts. Prices growth however will remain positive driven by strong migration, robust investor activity – both local and foreign, a chronic undersupply of housing and a top performing local economy. The Melbourne property market will also continue to benefit from record levels of migration with recent strong and consistent prices growth set to continue, particularly in more-affordable middle and outer suburban areas. The heady resurgence of the Canberra and Hobart housing markets following a lengthy period of subdued activity will also continue with recent boom-time results reflecting a sharp turnaround in the performance in their local economies generating increased migration and restored and rising confidence. The Adelaide market will continue its solid, steady and resilient performance of recent years despite a still underperforming local economy. Buyer activity in the Brisbane housing market will increase after a typically slow start to the year with moderate prices growth set to resume. The Darwin market is showing positive signs of revival with prices set to continue to rise as buyer confidence returns and improved affordability from lower prices drives demand from a still-strong local economy. The Perth housing market continues to weaken following indications late last year of a stabilisation of the recent sustained series price falls. A tightening of the local rental market and a recent sharp improvement in the state economy however provide some optimism for a market revival. Despite misplaced predictions of an apartment glut in Sydney and Melbourne following record new development in recent years, unit demand remains ahead of supply in these markets with prices in this sector set to continue to rise – particularly with lower levels of stock now in the pipeline. Despite actions by policymakers, international investment, particularly from China will remain a driving force in the Melbourne and Sydney apartment markets. Unit prices however continue to fall in Brisbane, Darwin and Canberra with excess supply an ongoing factor and likely to continue to put downward pressure on prices in the outlook. Adelaide unit prices however continue to increase steadily and the prospects are now more positive for the Perth unit market following recent solid prices growth.